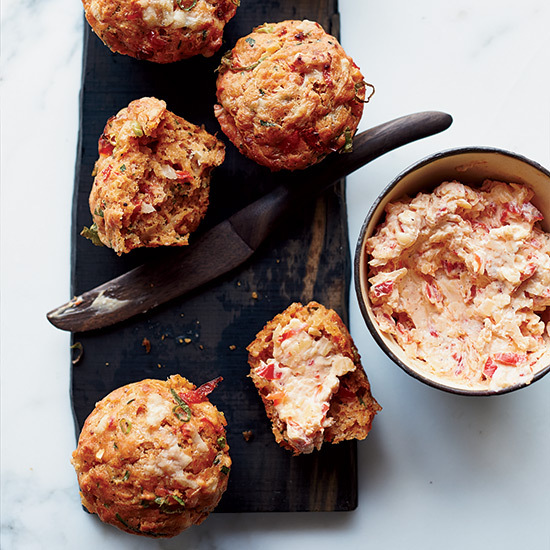 Pimento cheese in the batter means you get cheesy, peppery flavors in every bite. 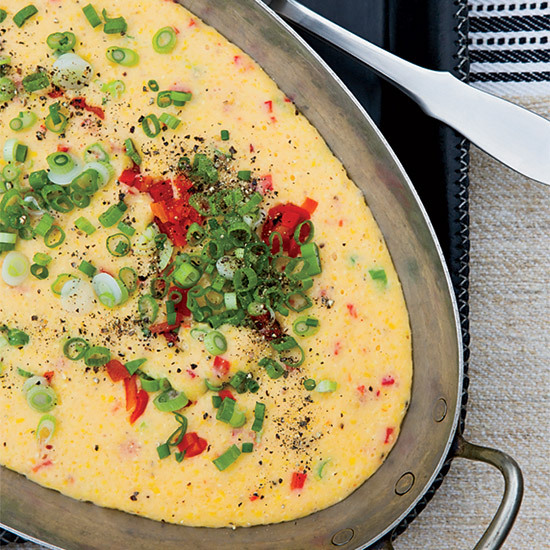 In this clever dish from Bobby Flay, he folds the classic ingredients of pimento cheese (cheddar cheese, cream cheese and roasted peppers) into warm, creamy grits, switching up smoky Spanish piquillos for the jarred pimientos. 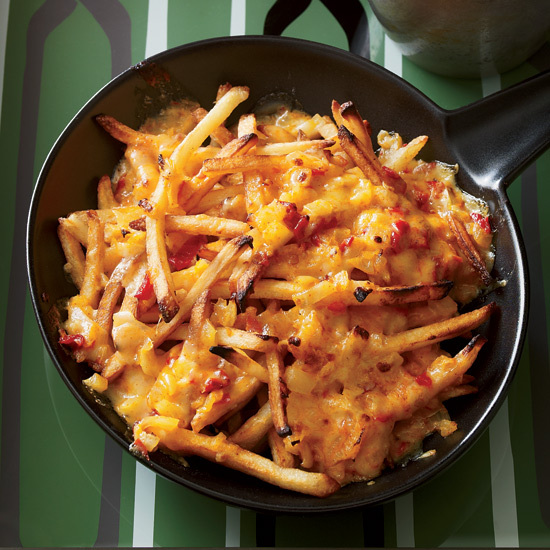 To take his french fries over the top, chef Jonathon Sawyer broils them with a tequila-spiked pimento cheese topping. 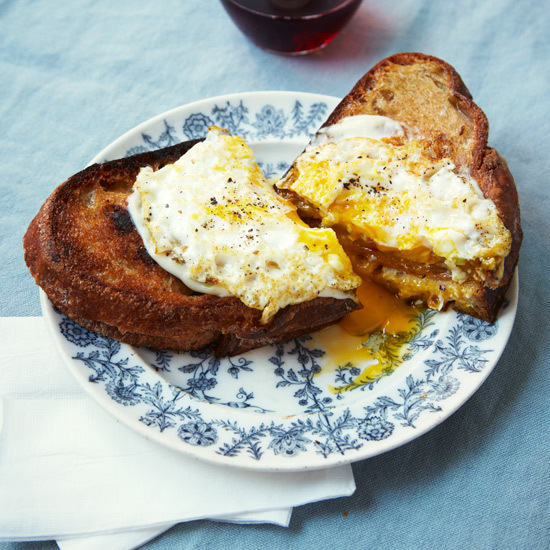 It’s wonderfully decadent melted into the fries and also excellent as a dip. These gooey quesadillas are the perfect midnight snack. 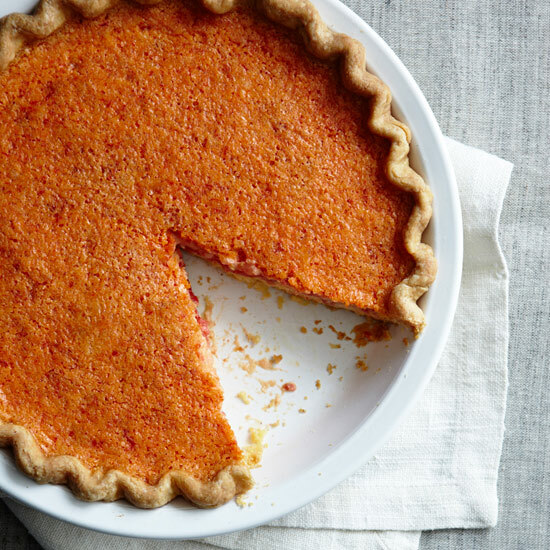 "My grandpa always used to make pimento cheese for me with sharp cheddar, or even Velveeta," says Katie Lee about the sweet pepper–studded spread, a Southern classic that's also a great dip. "I wanted to make it more grown-up." 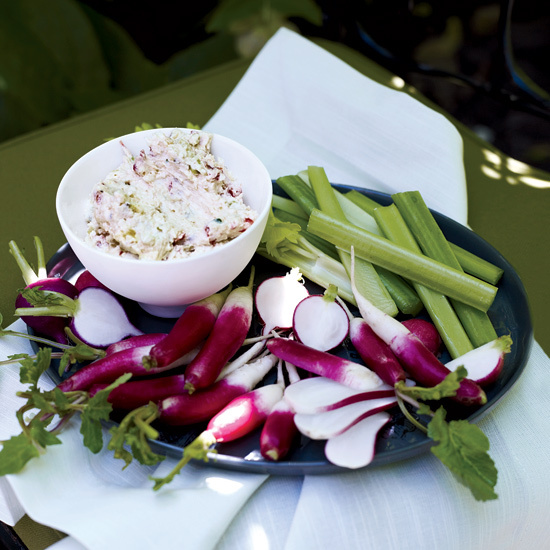 Katie's goat-cheese version is light and silky. 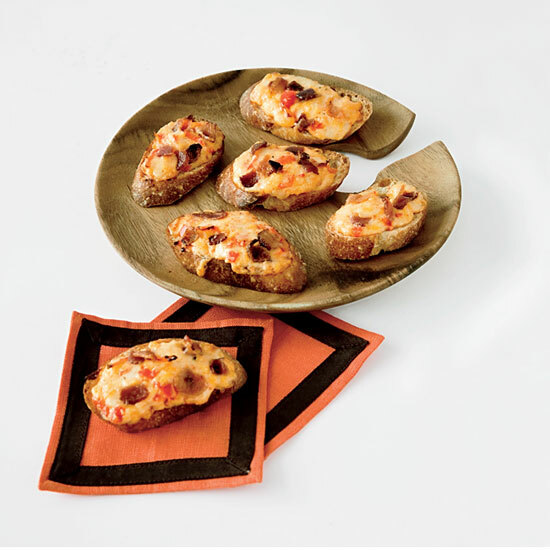 This irresistible appetizer is perfect for parties. 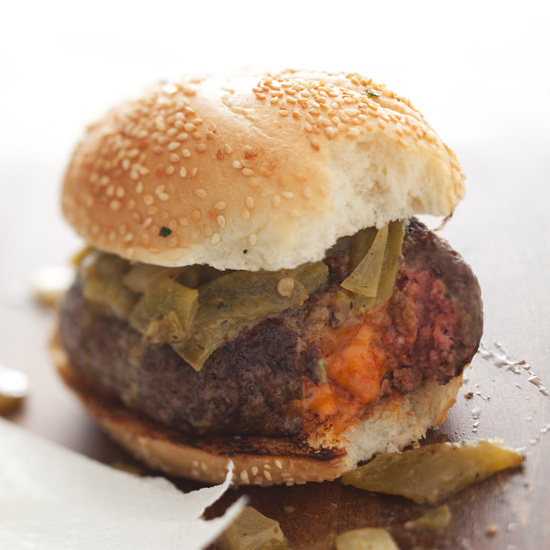 One bite into these juicy burgers reveals a cheesy surprise. Andy Ticer and Michael Hudman created this wow sandwich that just keeps on going with a filling of crispy, cheesy grilled ham-and-pimento-cheese. 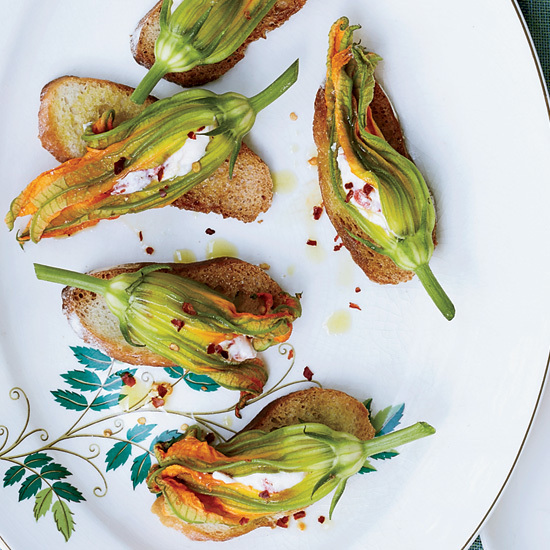 In this homage to pimento cheese, squash blossoms are stuffed with ricotta and pimentos and served raw.